Lena Mae (Ramsey) Neal, 91, of rural Frankfort, died Friday, April 13, 2018 at Mulberry Health and Retirement Community. She was born January 31, 1927 in Clinton County, Ind. to William G. & Orpha (Isgrigg) Ramsey. She married Joseph A. Neal on January 26, 1947 in Clinton County and he preceded her in death on December 29, 2016. 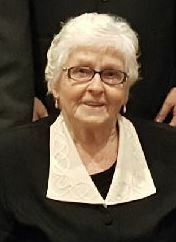 Mrs. Neal was a 1945 graduate of Jackson Township High School. She was a lifelong Clinton County resident and a farmwife. She was a member of the Antioch Church, Home Ec. Club and Mothers Club. Visitation will be 3-8 p.m. Tuesday, April 17, 2018 at Goodwin Funeral Home, 200 S. Main St., Frankfort. Funeral services will be 10:30 a.m. Wednesday, April 18, 2018 at the funeral home. Burial will be in Green Lawn Cemetery. Memorial donations may be made to Guardian Angel Hospice, envelopes will be available. 2 Daughters: Chylene (Jeff) Catron of rural Frankfort, Barbara (Tom) Irwin of rural Frankfort, 2 Sons: Larry J. (Kathy) Neal of rural Frankfort, Gary L. (Sara) Neal of rural Frankfort, 1 Brother: Paul (Sarah) Ramsey M.D. of Amelia Island, Florida, 1 Sister-in-Law: Rosie Ramsey of Frankfort, 10 Grandchildren, Clay (Renee) Woodruff, Cory (Angie) Neal, Ryan (Stephanie) Neal, Keily (Brad) Mohler, Brandon (Jodi Hill) Neal, Deana (Rob) McGraw, Tia (Tommy) Burnside, Lyn (Aaron) Salem, Kara (Chad) Garrard, Ky Irwin and 24 Great Grandchildren. In addition to her parents and husband, she was preceded in death by a brother, William E. Ramsey. Click on the video below to play. May the Lord comfort your family in this time of loss. My thoughts and prayers are with you. The Neal family has been great to get to know through the years. My heart is with you all. My condolences to Mrs. Neal’s family and friends. Great memories of her at Antioch church, especially summer Bible School. She set a wonderful example for all to follow. Sara: so sorry to hear of Gary’s mother’s passing.. Our thoughts and prayers are with you and you family. So sorry for your loss. She was such a sweet woman! I know she was so special to all of you. Sending our thoughts and deepest sympathy for all of the Neal family. May you find comfort and peace at this difficult time. We are so sorry to hear of your loss. Lena Mae had such a sweet spirit and a beautiful smile. I remember when Lena Mae and my mother, Joan Irwin, played for church at Antioch. Lena Mae played the organ and mother was on piano. It was special worship time to have them play together. Wish we could be there to convey our condolences in person but we’re still in Florida. You are in our thoughts and prayers. So sorry for the loss of your Mother. She was a very special lady and will be missed. Thinking of all of you. My thoughts and prayers are with LenaMae’s family. She will be missed… but is in better place. A beautiful person and a terrific cook! To the Neal family, we are sorry for your loss. Lena Mae was a very special lady, I remember when she had her deer at the side of the house, she was so excited to see them daily. She was a caring, compassionate, precious lady. Our prayers are with you all. Because of all she has instilled each of you as her family, whom she loved dearly, she lives on. Our condolences. Please fill out this form to contact the staff of Goodwin Funeral Home. We will respond to your message as soon as possible. 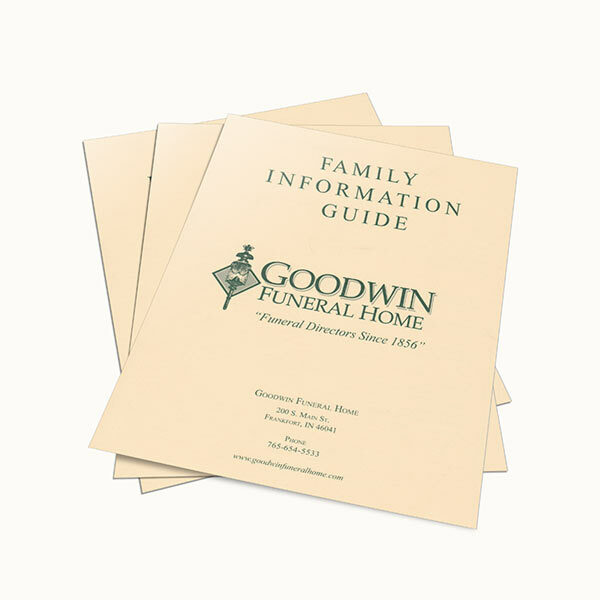 Goodwin Funeral Home obituaries are created from information contained in the Family Information Guide. 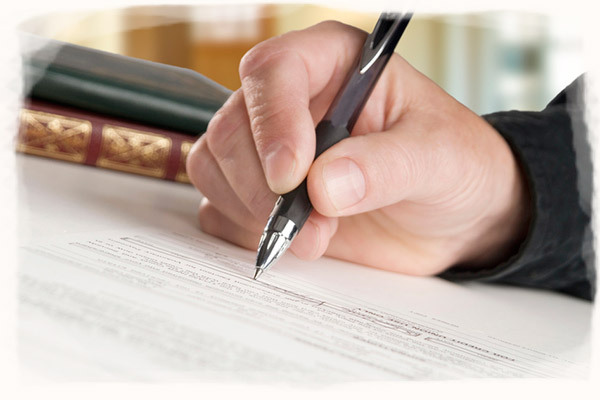 The Family Information Guide is a no-cost service provided by Goodwin Funeral Home for families and individuals who wish to record their personal information during the funeral preplanning process. Begin your Family Information Guide today. Learn more about preparing yourself and loved ones for difficult and emotional decisions in the future. Goodwin Funeral Home © 2014. All Rights Reserved.